you get to choose from 13 boats and 11 tracks from around the world. There are secret paths, power ups, special boat moves, and Various water conditions such as glassy lakes, waterfalls, stormy swells, and more! 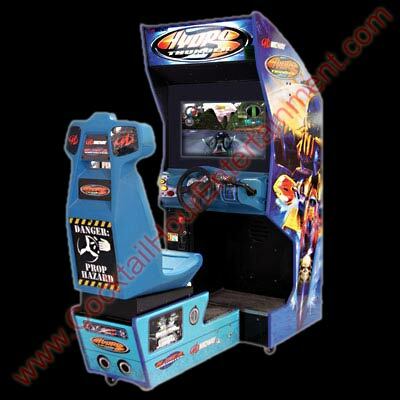 The most extreme Arcade Street racing game to date. Realistic driving Model with Steering wheel feedback. Race through 7 different Tracks, choose from 12 different cars, find hidden shortcuts to get you back in the race. Rocking sound track. Awesome racing Game! Kids get to pick their favorite songs and have a jam session. 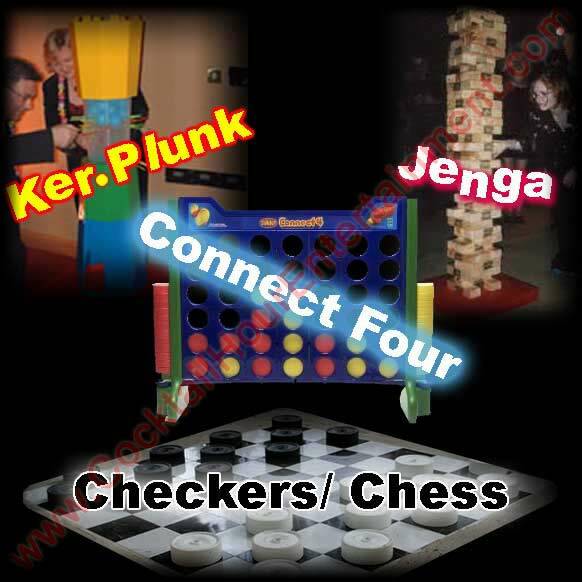 Up to 4 kids can play simultaneously. Play Together or Go Head to Head. 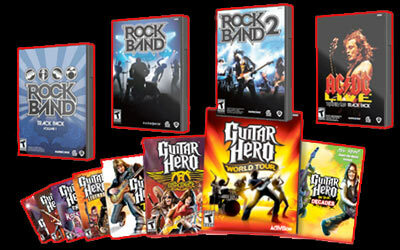 Pick Your favorite Version of Guitar Hero. 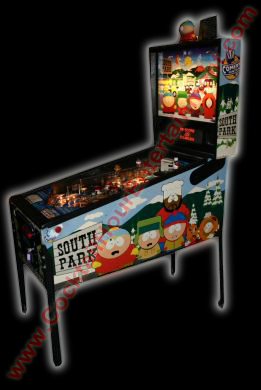 Includes Plasma TV set up, Game System, controllers, favorite Guitar hero game. If you can't watch the video above then update your PC web browser with the new quicktime plugin, it's free! 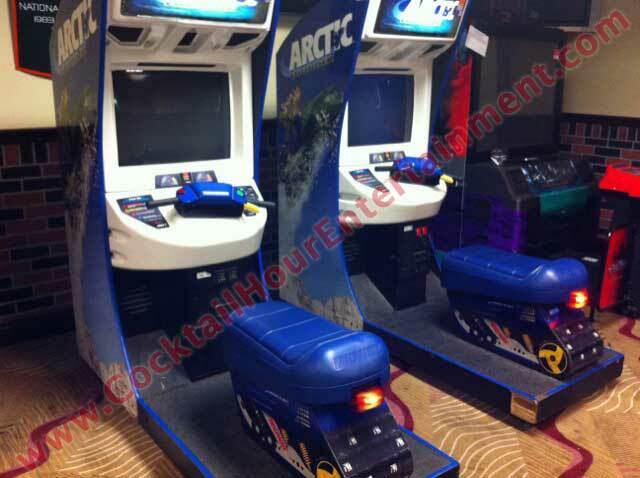 2 Separate Video Arcade game systems built into one unit! 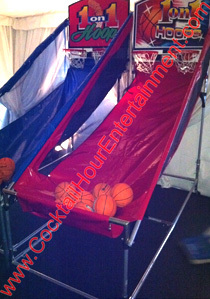 Great way to keep 8 kids busy and works in small rooms or tight spaces. 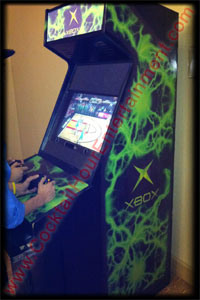 Game Includes 2 separate High Definition TVs, 2 Separate game systems, Latest Games, 8 controllers, and 1 Game Attendant. 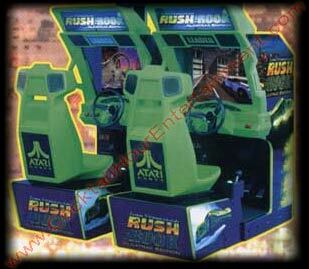 Real Arcade machine with a 4-player xbox system, high definition TV, and Build in arcade Speakers. This space saving cabinet design has a more professional look than setting up a TV at your event. 40" Deep x 28" wide x 75" High. 350 lbs. 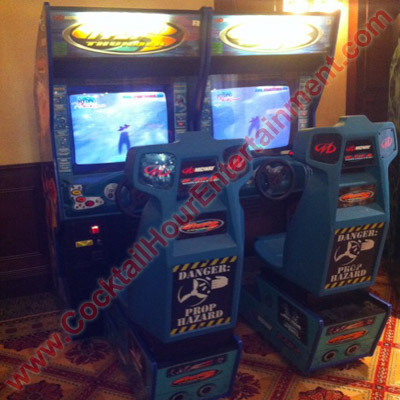 Video Arcade games are a great way to keep the kids occupied during cocktail hour. 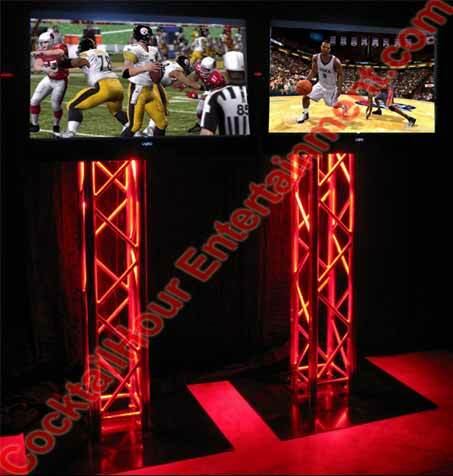 Popular games include Madden, NBA Live, Halo, Call of Duty, and many more. Pick your favorite games or let us choose for you. 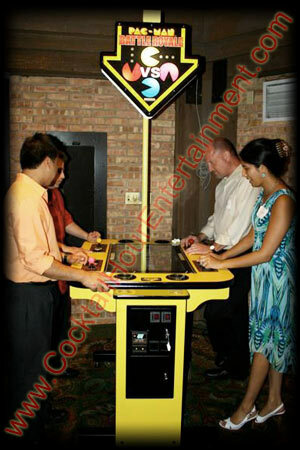 We recommend 4-player games to keep more of the kids entertained, and you can book multiple video game booths to create your own personalized arcade. 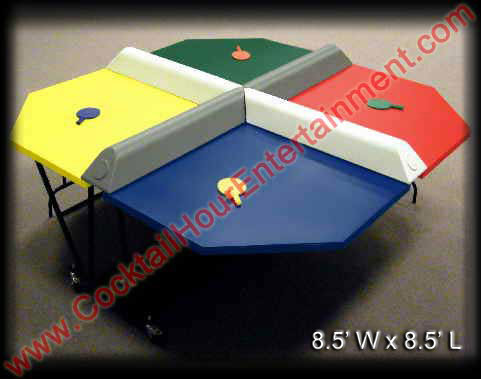 Dimensions: 40"L x 27"W x 70"H Weight: 300lbs. Click Here for YouTube Video. 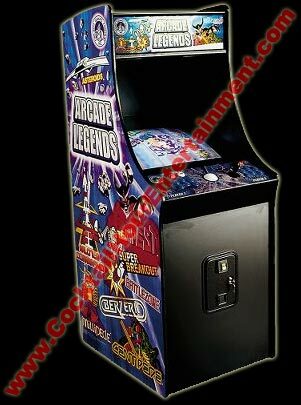 This attractive 2-Player arcade cabinet is packed with over 100 classic arcade games! 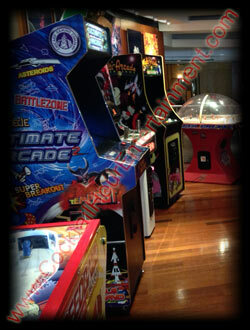 (Centipede, Space Invaders, Defender, Joust, Missle Command, Asteroids, Breakout, and many more!) 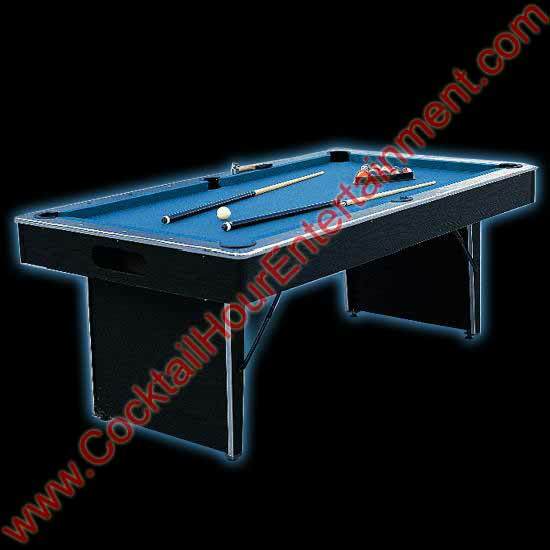 Dimensions: 40"L x 27"W x 68"H Weight: 345 lbs. 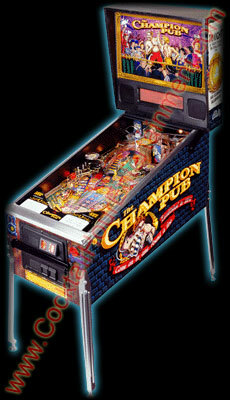 All of our pinball Arcadem game Rentals are newer style pinball machines with mutliball and ramps. Requires access to 110 electric within 100 feet. Games are set to freeplay. No attendant, Delivery Charges May apply. 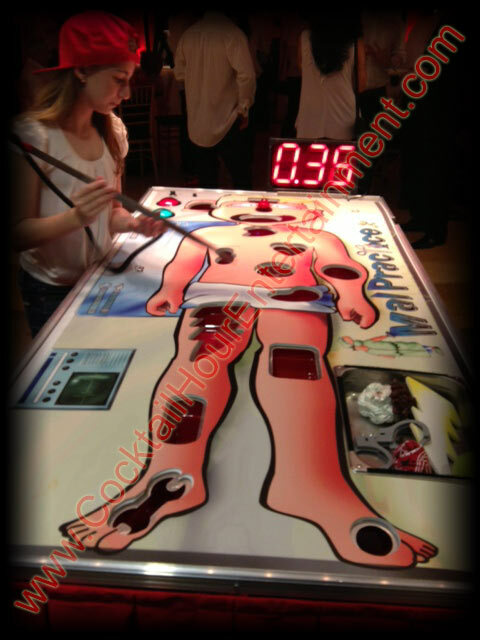 Players compete against each other 1-on-1 on this arcade game style basketball game, or against the 60 second Digital shot clock. Baskets are worth 2 points each, but during the last 15 seconds baskets are worth 3 points each so losing players have a chance for a comeback! Bonus time is awarded if your score is high enough. 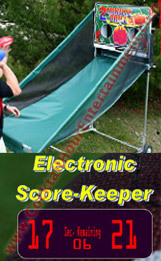 Game keeps track of each players score and has digital sound effects. Games are 60 secs long so everyone gets a turn. attendant in referee shirt optional. 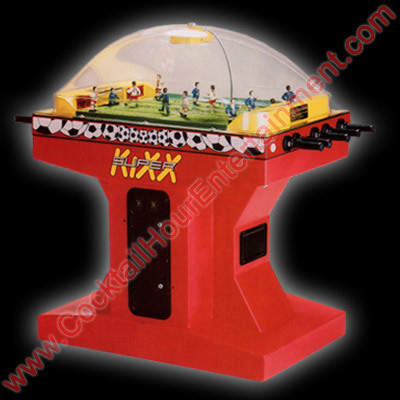 This new arcade Football version of the popular basketball Pop-A-Shot is a 2-Player head-to-Head Football Toss game that keeps time and score as players compete for the best score. Toss the six soft mini-footballs through the Targets to score big. The crowd cheers when you score, so don't let them down. Electronic scoring adds to the excitement and competition. attendant in referee Shirt optional. 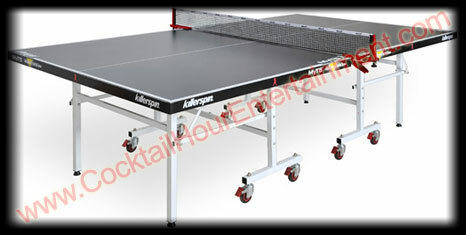 Killerspin arcade quality Tournament Grade table, 4 Paddles, Ping Pong Balls. 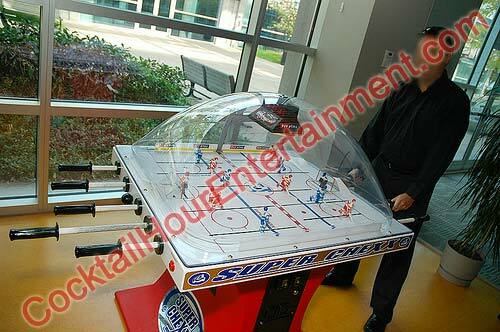 You've never seen air powered hockey like this before. 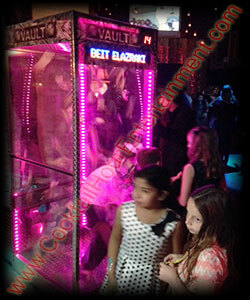 New Arcade game design incorporating space saving footprint (5 sq. feet). Bank your puck against the wall in front of you to try and score against the opponent standing at your side. 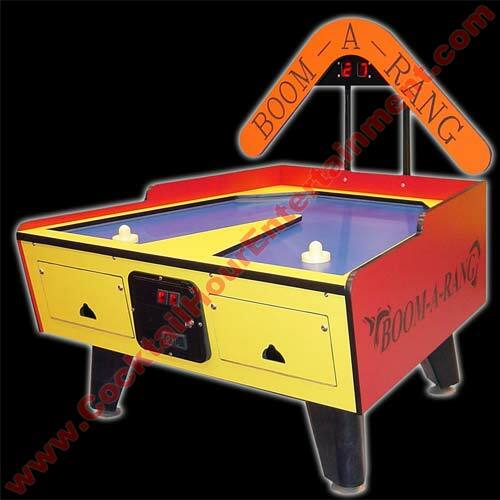 The Boom-A-Rang presents a whole new challenge for those who think they've mastered the game of air hockey, or for anyone who wants to try their hand at the next generation air hockey table. 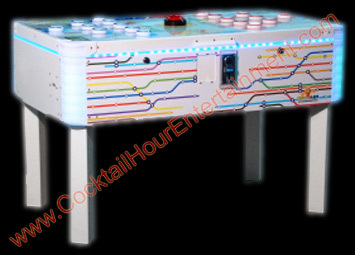 Includes Boom-A-Rang Overhead Electronic Scoring Unit. Dimensions 60"L X 51.5"W X 65.5"H 400 lbs. 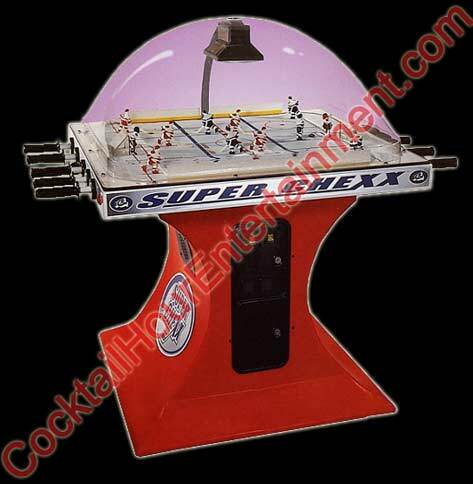 Arcade "Soccer" dome Hockey game. 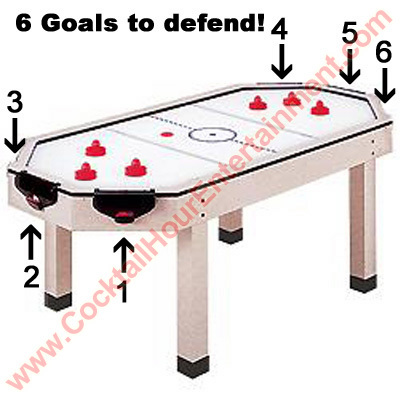 Players on either side control all 6 realistic Soccer players for exciting and realistic game play. The game can be played as a 1-on-1 game or 2-on-2. 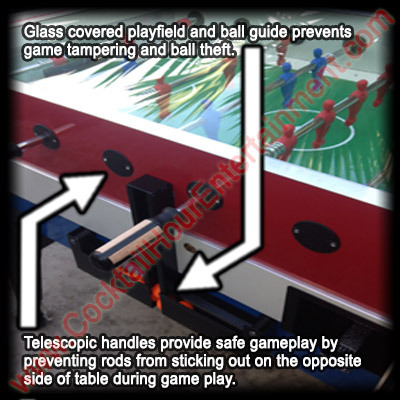 Plastic dome keeps ball in playfield and prevents Tampering with Gameplay. 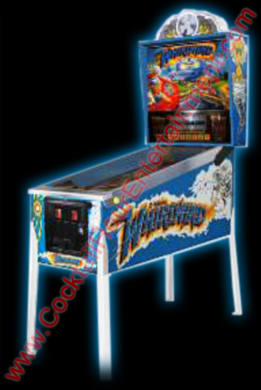 Game has grass playfield, electronic scoring, lights, and sound effects. Electricity required. 56"L x 30"W x 55"H, 180 lbs. 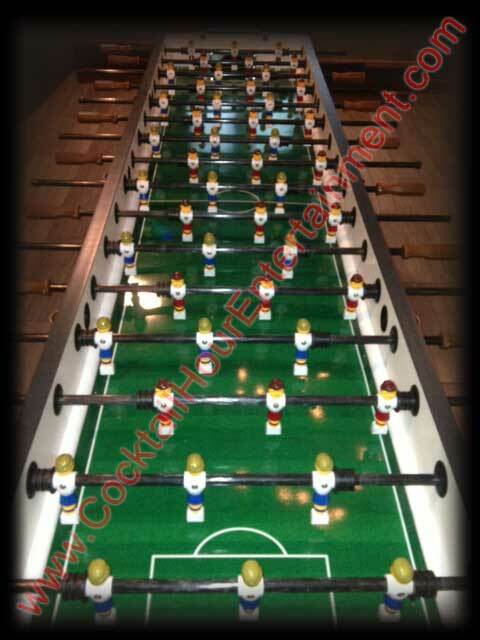 Arcade Foosball Table. 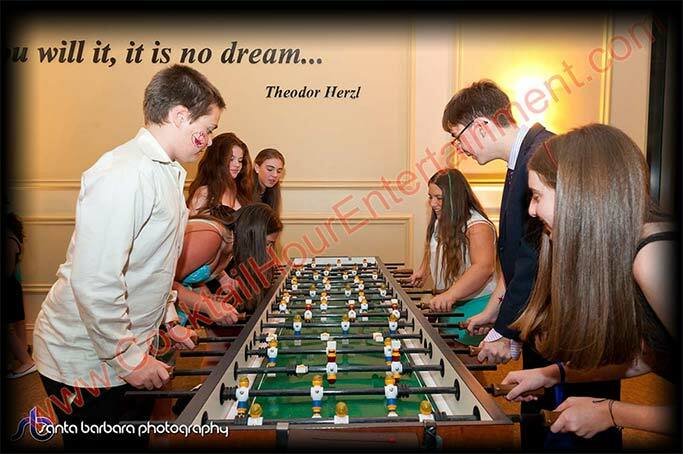 This is Not a $300 Foosball table from Sports Authority! 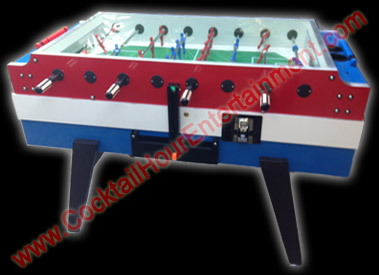 Multi-Player Arcade Foosball Madness! 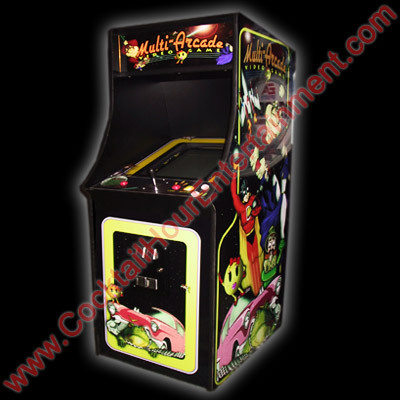 Fast-Paced action for up to 8 players! 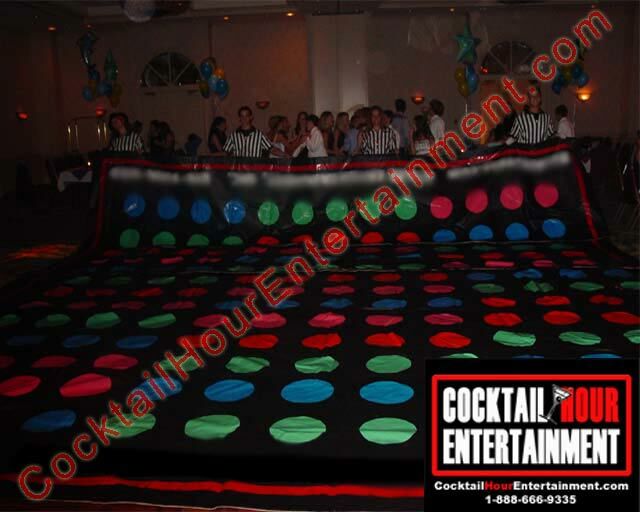 Florida's largest twister mat is big enough to cover most dance floors at 25'x25'. 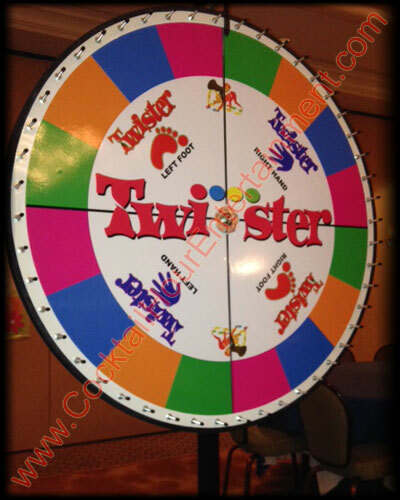 This heavy duty twister mat can accomodate up to 75 guests, but it can be adjusted to smaller sizes. 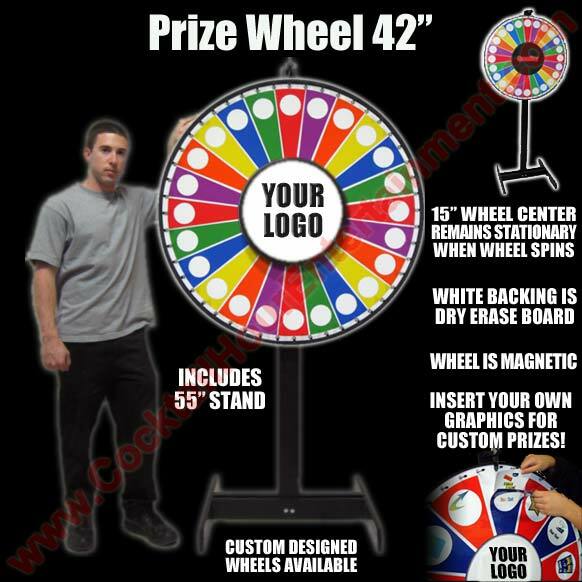 Optional Attendant and 42" Giant twister Wheel. Chess or Checkers- Board size apx. 10'x10', 24 pieces. (Each Checker is 10" wide). 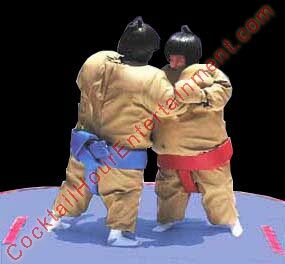 2 Guests suit up in these foam-Filled, padded Sumo Suits. The first sumo wrestler to fall down or step out of the ring will be declared the loser. Includes padded 14' sumo arena mat, Padded body, padded mittens, and head piece. Sumo suits are hilarious fun to watch as well as play. Includes Attendant, no Electricity required. 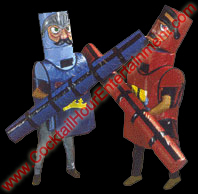 Includes Padded Costume and Velcro Attached head Piece, Padded Staffs, and Attendant. Our surfboard is mounted to a motorized Base that simulates the motion of a real wave. 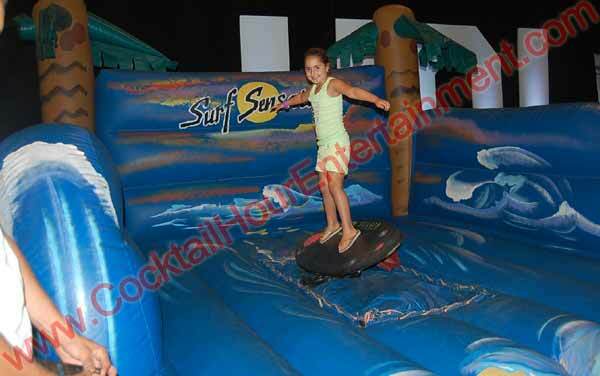 Surfboard is surrounded by an inflatable safety zone for your guests to safely wipeout. The wave simulation is adjustable, so you can ride a kiddie pool size wave if you're a "Barney," or you can ride the middle of the impact zone at Mavericks if you're a surfing god. 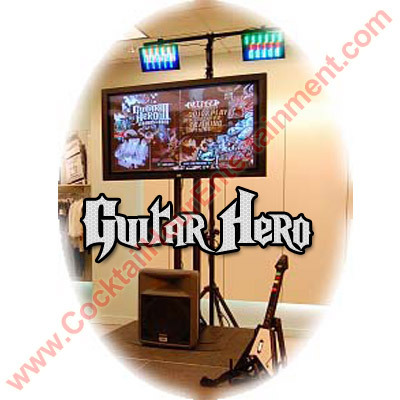 Over 100 people can play per hour and one staff member is provided. Requires 15'x15' space and 110v outlet. 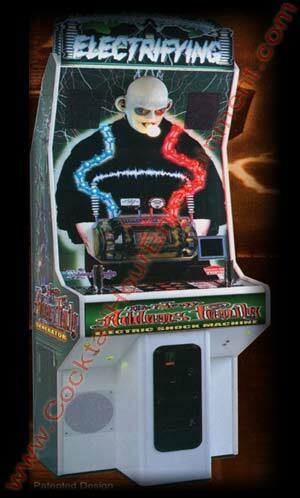 This rare collectible arcade game rental has you Competing with Uncle Fester. 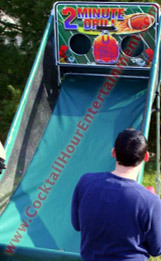 Guests try to hold on to the metal handle bars as long as you can while he increases the "Voltage". With three levels (Easy, Medium, and Hard,) players either compete in teams of two (One holding each handle bar) or go solo holding on to both. This is a great spectator game as well b/C It's fun to watch people try to hold on. Click here for YouTube video. 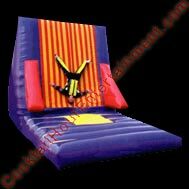 Contestants wear velcro suits and jump off a springboard in an attempt to "stick" onto the inflatable wall as high as possible in different positions. Includes attendant. Dimensions 12' H x 10' W x 15' L. Requires 110v outlet. 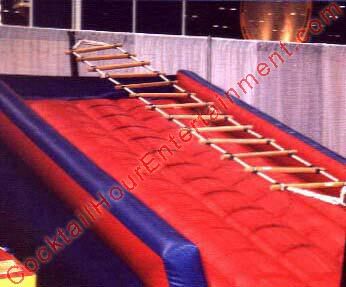 Single Rope Ladder. Guests "Try" to climb the ladder (Attached on a swivel) up to the rope to ring the bell. Requires an 8' wide x 14' long x 8' high area for the inflatable Base. 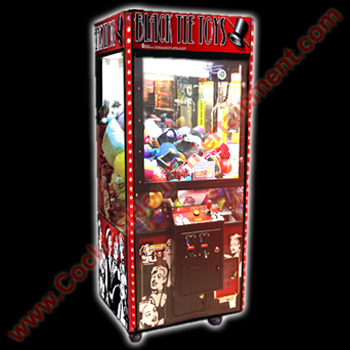 Includes attendant and up to 12 prizes. Requires access to 110 electric within 100 feet. 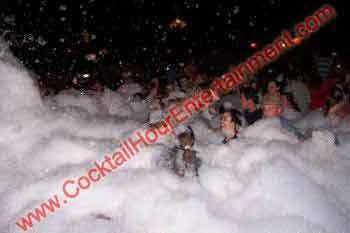 Dance in Pools of Foam waist high! 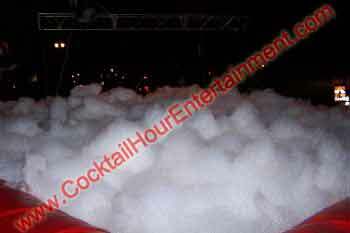 we use a specially formulated foam which fills the dance floor with safe, non-Toxic bubbles. 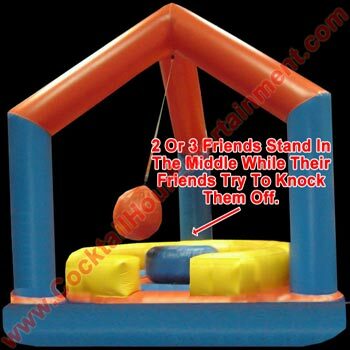 foam dance pit is 25'x25'x5' high. Air Inflated tubes that dance and move. 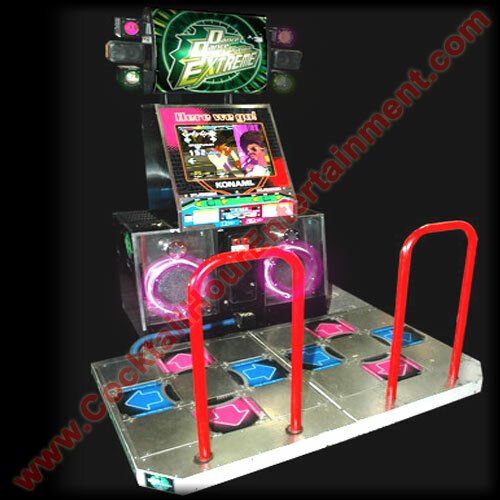 Available in 12' High dancer with one leg, or 25' high dancer with 2 legs. Old fashioned wurlizter-Style Juke Box that plays CDs. 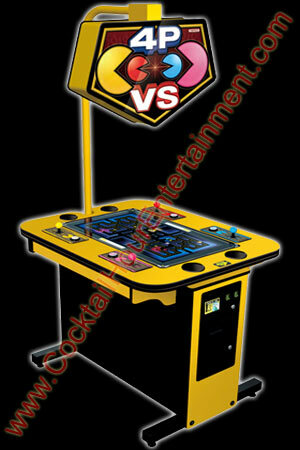 Juke box has neon colors and Air bubbles that dance around. 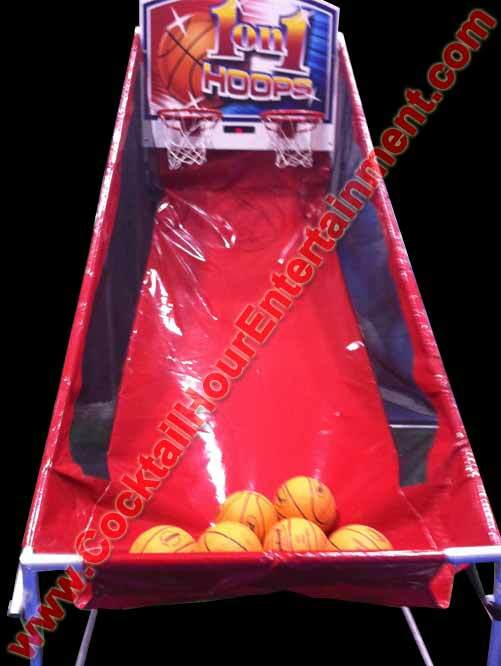 great for sock hops and rock & roll themed events. 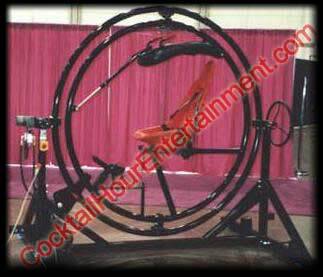 Also works as a separate sound system for your cocktail hour music if it's in a different room than the DJ. Designed by NASA, this gyroscope simulates free falling, anti-Gravity and the rolls and tumbles associated with outer space. 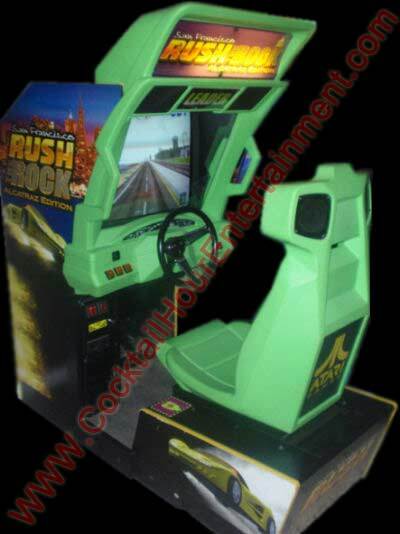 Get strapped and harnessed in a race-car-Seat while the operator spins you around. Note: Riders Do Not experience motion sickness or dizziness due to the changing directions of the spin which keeps the inner ear fluid balanced. Can you defy gravity? 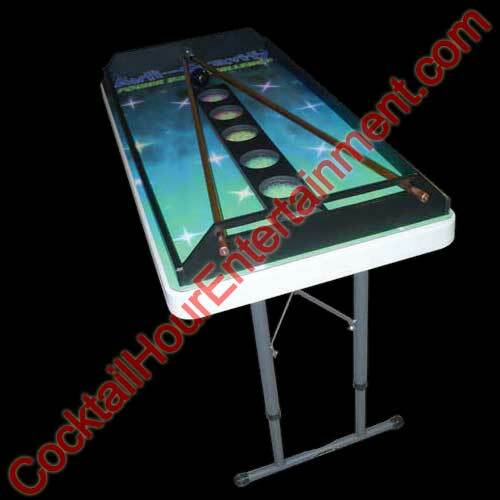 Challenge yourself by sliding the rails apart & together causing the ball to roll down the rails & drop into the holes with the most point value.